I havent posted any awesome screenshots lately, so I figured I should post some strange things I have done lately. The first is just a frozen Room Pointer using Artmoney. The Second uses a code by Zoinkity I found that can be respawn preset locations for any multi map, and I set them all to one location and made a monster! (I could have done this just by modding the original codes, but i wanted to test out the code, lol) The third is an example of Subdrags action Modifyer on Trev, this screenshot is of the really wierd one where he goes crazy and flies around. Awesome. If you (the reader) have or can make any What the? screenshots, post em here. You should thank me because i was the one that found art money remember Or at least i think i was. I've never seen the area outside of the interrogation room before. It's pretty neat seeing the full size of the wall behind the windows. Nice looking texture. Hehe, I usually end up inside of Natalya when I start up a new multi. Wait, don't take that the wrong way! There's no hidden sexual referrence there! Honest. The old codes for the Emptier multi maps placed both players in the same position. Unless you slapped the other to death, or used Walk Through Doors (which I call Walk Through Props, since you're able to go through more than just doors), you're stuck together, unable to move. If you didn't have on respawns, you'd really be screwed. What in the Sam Hill is 006 doing hanging from the bottling room ceiling? Was he bitten by an experimented on spider with radioactive blood? I was experimenting with objects and got this pic. Hmm, ya think the value I modified had something to do with size? Naah. This actually gives me an idea for a really crazy level. With like ... big stuff. Yeah. Do it!.... uhh. i think i speak for all people when i say: New Levels PWN! 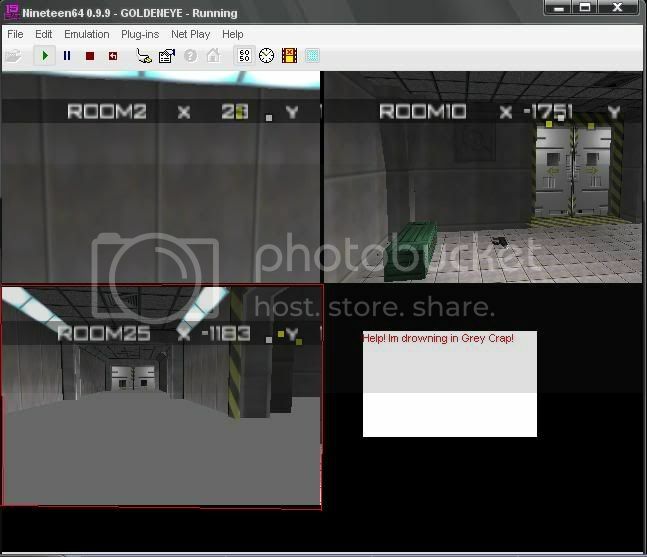 Hehe, got a new image messing with the ROM Image swapper! It's Boris ... dressed in style. 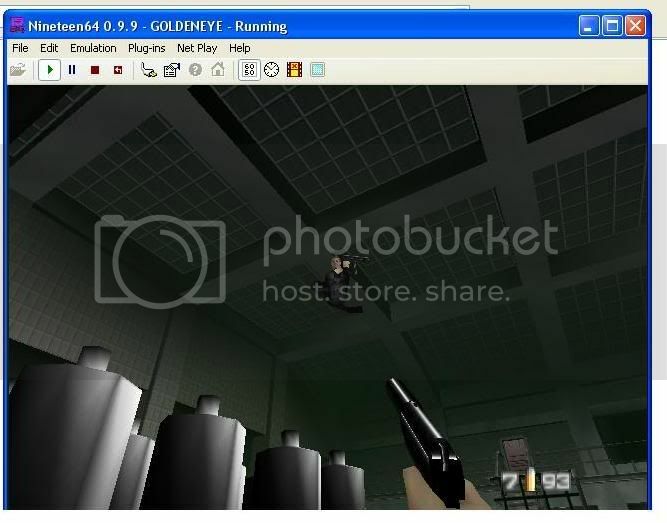 Here are some crazy images I got off of my japanize version of goldeneye. Very glitchy, the skyline is waked, its like this on 1964 with pal and ntsc version also. Sit down, shut up, and toak! 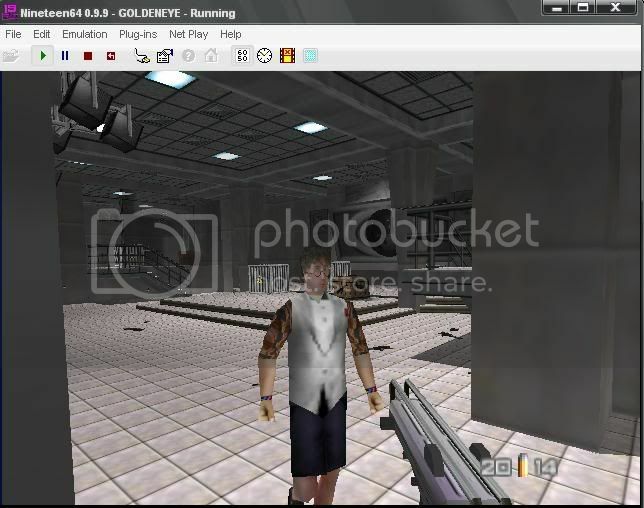 Here are some crazy images I got off of my japanize version of goldeneye. That picture marked '00022qj' from the Frigate looks like an entirely new stage. It could almost pass for a screenshot of an industrial rooftop map. Very cool, that for darn sure. lol, all that is is smearing, but it produces some cool effects. I recently learned how to fix that, actually. Using Jabos, (which is default with PJ64) go into video options and turn on "Clear Mode". It might be under Adavnced Options or sumthin im not sure. Whoah, the upper-half of that screenshot is creepier than hell. 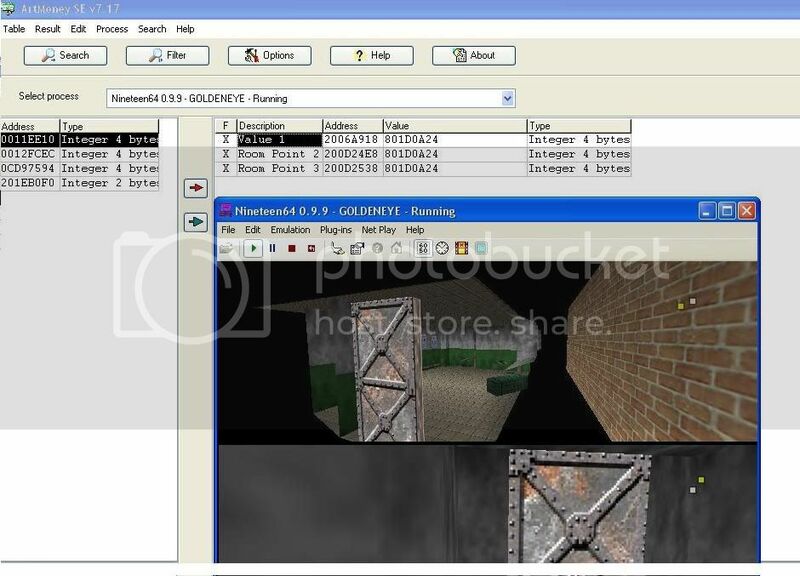 It looks like somebody made a Silent Hill mod for GoldenEye.